Are Rigorous Forms Of Workout Like CrossFit Suitable For Children? Home » Living Healthy » Are Rigorous Forms Of Workout Like CrossFit Suitable For Children? A research says gyms or fitness studios, have now started taking kids. They have started everything from baby yoga to activity monitoring for infants in their cribs. Boutique fitness studios are outcompeting large, multipurpose health clubs, thanks largely to their most devoted customers: Millennials, according to a 2017 report from the International Health, Racquet & Sportsclub Association (IHRSA). And as fitness lovers start having children, many studios are now offering group classes for kids. "It's starting now with everything from baby yoga to activity monitoring for infants in their cribs. All these things are extensions of the parents' shifting value and belief systems," says Bryan O'Rourke, a fitness industry analyst and member of the IHRSA board of directors. He cites youth-oriented programs from SoulCycle, Zumba, and UFC (that's Ultimate Fighting Championship, the mixed martial arts organization), to name a few. "There are a plethora of offerings out there, and I don't think they're going away," he says. Children and teens are doing yoga, spin and strength-training classes in place of, or in addition to, traditional organized sports. IHRSA reports that the number of boutique gym members under 18 grew from 2.1 million to 3.7 million from 2013 to 2016. In theory, anything that gets kids moving is good, says David Berkoff, a sports medicine doctor and professor of orthopedics at the University of North Carolina at Chapel Hill, because "we have such a crisis of overweight and under-exercised kids." But experts have some caveats when it comes to group fitness classes designed for adults. 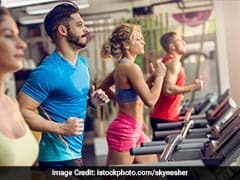 One of the biggest predictors of overall gym attendance during the study period was not whether people made plans to visit the gym but rather how often they had visited the gym before the study period. Eating the wrong sort of food before hitting the gym can make your efforts futile. Here are 6 such foods which can do this. "Kids are not miniature adults, and I would caution against kids taking classes that are formatted the same way as the adult classes," because they may not be age-appropriate, says Rick Howard, assistant professor of kinesiology at West Chester University and co-author of the National Strength and Conditioning Association's 2016 position statement on youth training. Not all kids' fitness classes are created equal. Parents should look for studios that cater specifically to children with separate class times, equipment, and instructors and employ safety measures such as separating children by age group. They should also understand the psychological elements at play. The social benefits of teen group fitness classes are similar to those found in organized sports, such as team building, accountability and a sense of belonging, says Jaclyn Shepard, assistant professor of psychiatry and neurobehavioral sciences at the University of Virginia School of Medicine. She also lists a host of other psychological perks of fitness groups. "We see in the literature that there's definitely improved mood, a much more positive outlook on life, increased self-esteem, improved cognitive performance and reduced anxiety and stress," Shepard says. But she warns that group fitness can also foster "peer contagion," a process where one teen's unhealthy behaviors or emotions can undermine the positive progress of his or her peers. "This can result in potentially negative effects on body image and eating habits," she says, such as a preoccupation with weight loss. Parents should watch out for any change in behaviors - for instance, a teen refusing to eat certain food groups, or compulsively exercising - or drastic changes in weight. Shepard says it's also crucial for parents and fitness instructors to focus on efforts and accomplishments rather than physical appearance. Howard's take-home message is that finding the right coach is key. "It all goes back to the quality of instruction," he says. "The person working with kids needs the expertise to make sure that kids are having fun, that the fitness program is safe and that it's effective." 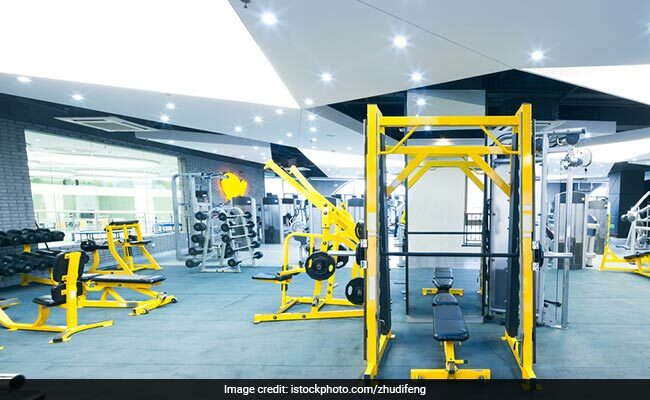 Here's how gyms are accommodating their new young visitors in the areas of strength training, spin and yoga. It may surprise parents to learn that strength training can actually be highly beneficial for children. Body-weight exercises and light to moderate weightlifting can help build stronger bones, increase bone mass, reduce the risk of injury and help kids move better, says Berkoff, whose 11-year-old son regularly attends CrossFit classes. "The key is for strength training to be structured and supervised," he says. "I wouldn't let my 11-year-old head to the CrossFit gym alone to do clean-and-jerks with the adults there." That means having an expert in charge. CrossFit kids' coaches complete a certification program that covers class structure and setup, safe movement and cues that resonate with children - for instance, the "angry gorilla" prompt helps kids get in position for deadlifts. Meanwhile, sports performance gyms offer specialized strength and conditioning programs that teach young athletes about weight training and recovery. While lifting weights to increase strength and endurance is considered healthy, teens should not aim to build muscle bulk, says Shari Barkin, chief of general pediatrics at the Monroe Carrel Jr. Children's Hospital at Vanderbilt University. "Until you reach your skeletal and physical maturity, you do not want to be building muscle," she says. "We recommend using light weights with high repetitions. The goal is to focus on fitness, strength and safe technique." Children's spin classes are less common because most spin bikes can only accommodate riders 4-foot-10 and taller, but many studios allow teens to attend adult classes with parental consent. At Saratoga Cycling Studio in Saratoga Springs, New York, owner and instructor Angela Amedio created a teen program that welcomes pre-scheduled groups, such as sports teams from the local high school. Amedio tailors the class routine to each group's needs - some hope to increase endurance, others to build community and confidence. For teens who are less athletic, "it's a nice way to get active with your peers because there's no pressure, no competition," she says. Barkin recommends kids' yoga classes, for both physical and psychological benefits, such as improvements in strength, flexibility, balance, and relaxation. In Los Angeles, Zooga Yoga offers classes for kids of various ages, including parent-and-me classes where children and adults can exercise together. Rather than hiring traditional yoga teachers, studio owner Antonia King recruits kid-lovers such as preschool teachers and trains them specifically for kids' yoga. For example, King's instructors learn to focus on verbal cues and use minimal hands-on adjustment during kids' classes. If a child requires help with a specific pose, the teacher always asks permission before making physical adjustments. "What I don't recommend for kids, or for teens, is hot yoga," Barkin says. "Hot yoga tricks your body into thinking that you can do more stretching. For kids especially, it's important not to overstrain [their] muscles."